Today’s featured deal at the iPad Insight store is The Ultimate iPhone Lens Kit – touted as the essential iPhoneography lens kit. This bundle provides 6 specialist lenses which promise to have you covered for just about any kind of photo in any situation. I know we have tons of big-time iPhone users and iPhone photographers here. 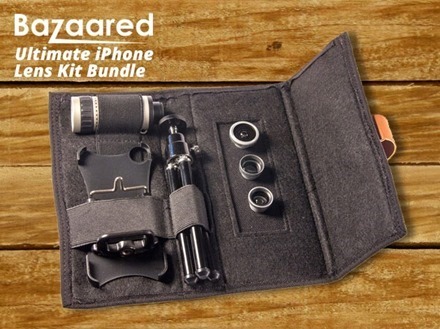 You can check out all the details of this bundle at the Deals page for the Ultimate iPhone Lens Kit. Today’s featured deal at the iPad Insight store is the Name Your Own Price Mac Bundle 5.0 – featuring 9 award-winning Mac apps valued at over $800 and an iOS developer course. Name Your Own Price For 9 Mac Apps Valued at $807! We’ve partnered with 9 of the world’s finest Mac App developers to bring you the fifth-ever NYOP Mac Bundle! 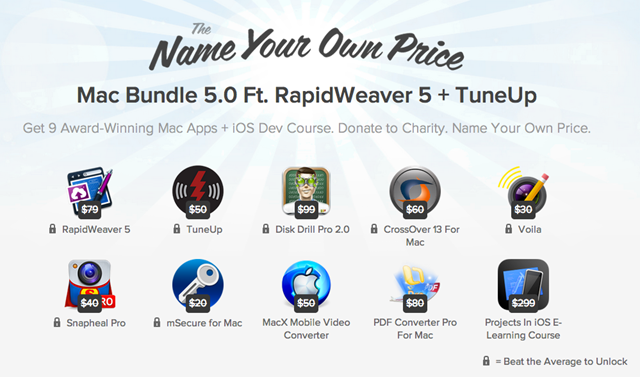 You pay what you want for MacX Mobile Video Converter, PDF Converter Pro, and the “Projects In iOS” E-Learning Course and if you pay more than the average price, you’ll receive all the apps (including RapidWeaver 5, TuneUp, & more) in the bundle. The 9 Mac apps included in the bundle are an impressive bunch – starting with RapidWeaver for website design and TuneUp for optimizing your iTunes library. There’s also the Volia screen capture tool, PDFConverter Pro, and the excellent Snapheal Pro for removing objects from photos quickly and easily. You can check out all the details and grab this bundle at the Name Your Own Price Mac Bundle 5.0 page in the iPad Insight Deals section. This deal ends on Friday 5/23. Today’s featured deal in the iPad Insight store offers a great, affordable entry into the world of designing and developing games for iOS and Android devices. The year of online training courses is being offered for just $79.99, a huge discount from the standard price of $1,200. Have you ever wanted to create video games but didn’t know where to start or how to code? The School of Interactive Design is providing 1 year of online game design training created by experts currently working in the video game industry. Start building your very first game in just a few hours without the need to learn a single line of code! 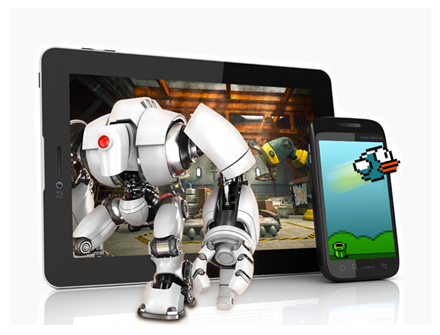 You will learn how to make games for all types of platforms like iPhone, iPad, Android, Mac and PC games. On top of these awesome skills, you will also learn 2D game development, 3D game development, graphic design, and computer animation. With programs like GameSalad, Unity3D, Maya, Photoshop, and Illustrator. You can see all the details on this and sign up for it as this iPad Insight Deals page. Today’s iPad Insight Deals offer is perfect for anyone who wants to learn how to create iOS apps. 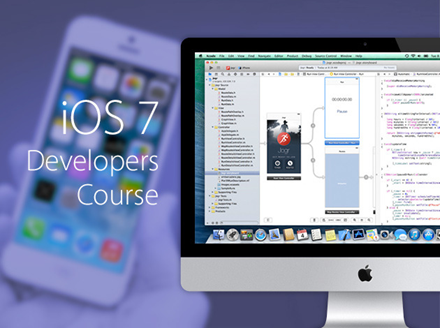 It’s an iOS bootcamp that will help you gain the skills needed to develop apps for the iPad and iPhone – aimed at complete beginners and programmers looking to add to their skillset. The course is normally priced at $499 – but is on offer today at just $59 (88% off). Become familiar with the syntax of Objective-C, the language used to develop iOS apps, as well as important design patterns and best practices. By the end of the course, understanding and recreation of many popular iOS app features is the goal, so that you can extend that knowledge to making apps of your own. The ultimate learning by doing experience: build 14 apps during the course, with the final app being a full featured dating app: A Tinder Clone! A community of 100+ people learning the same thing. Lifetime access to Over 378 lectures and 32 hours of content. Code in the Objective-C programming language, the language used to develop all native iOS and Mac apps. Use and extend the Cocoa framework. Integrate with third party APIs like Facebook, Foursquare and more. You can see all the details and purchase the course at the big discount rate (today only) at this iPad Insight Deals page. 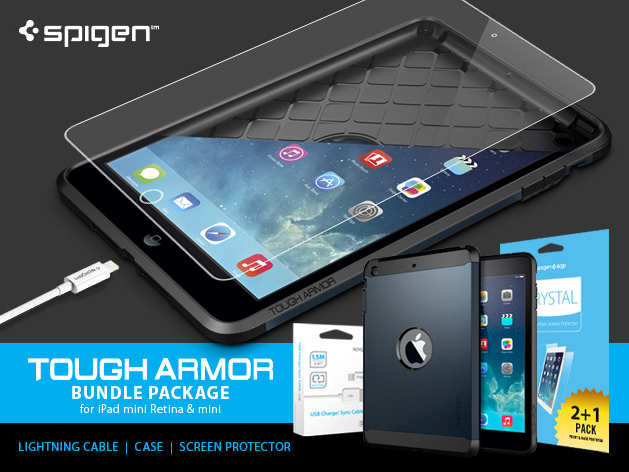 Here’s a good looking offer at the new iPad Insight Deals section – the Spigen Tough Armor bundle for the iPad mini and Retina iPad mini. It includes a Spigen Tough Armor case, a Crystal screen protector, and a MFi certified lightning cable. The bundle comes in at $54.99, 42% off the standard pricing for these items. I’ve reviewed Spigen cases here before and have been very impressed with them, and their screen protectors are known as some of the very best for iPads. The iPad Mini Tough Armor Bundle let’s your iPad’s hardware keep up with its shiny new iOS 7 software. Your iPad Mini is slim, clean and beautiful, and we’re sure you want to keep it that way. If you’re looking for extreme protection without the bulk, Spigen’s Tough Armor has changed the game in protective cases. Thanks to their proprietary Air Cushion Technology, this case provides better impact absorption than any other case on the market at a fraction of the size. This bundle of iPad Mini goodness comes with the Tough Armor case, the Crystal Screen Protector, and the Kuel C10L Sync and Charge Cable to make sure your tablet is protected and charged at all times.